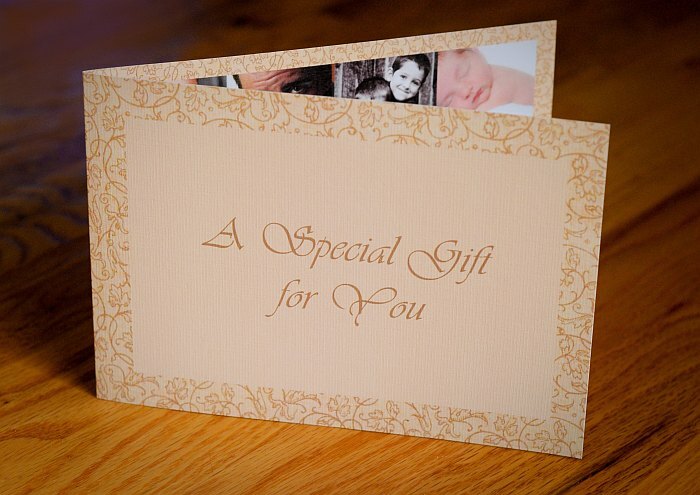 We are also offering our usual end of the year gift certificate special… Purchase one gift certificate for any amount over $25.00, and receive a second for the same amount, free! 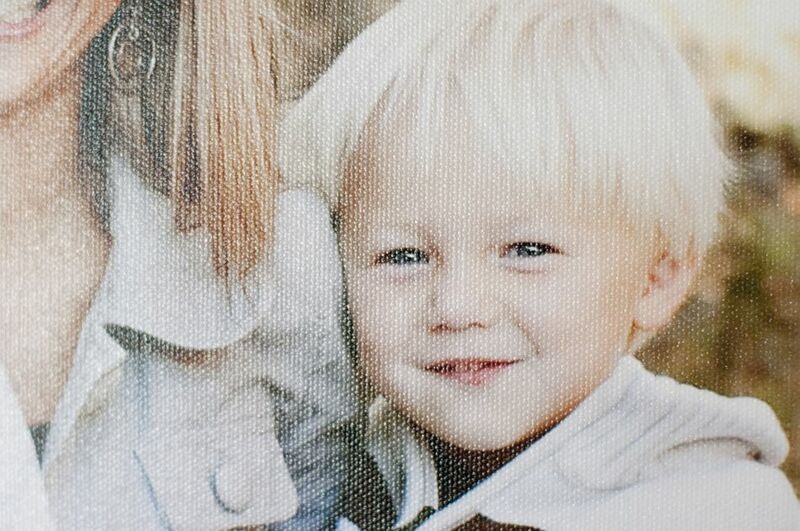 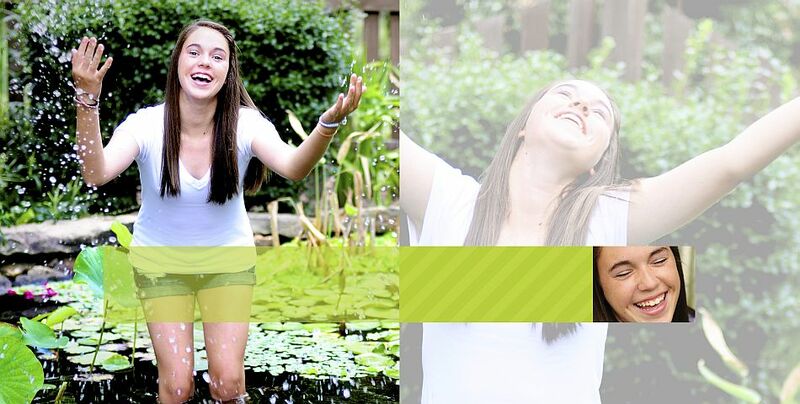 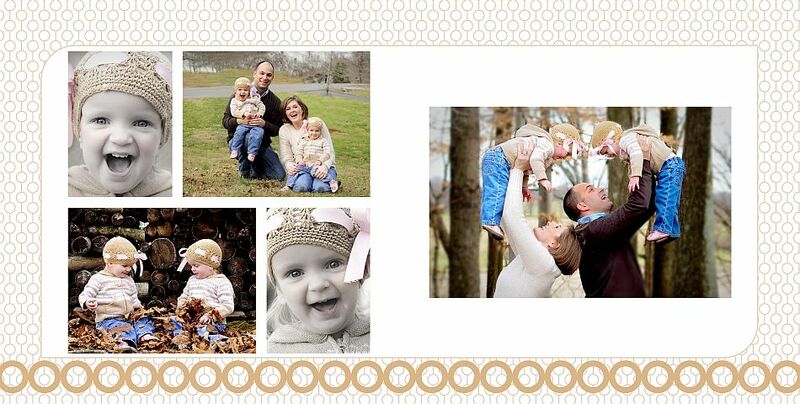 Gift prints are a great way to show off your family! 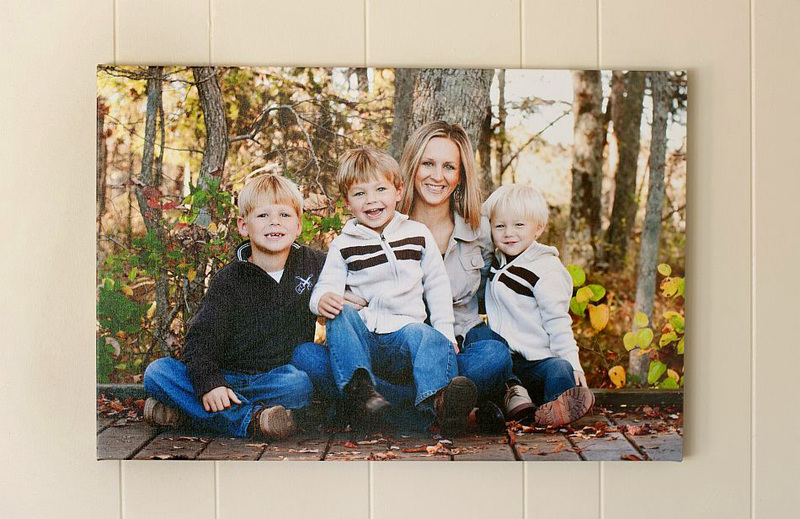 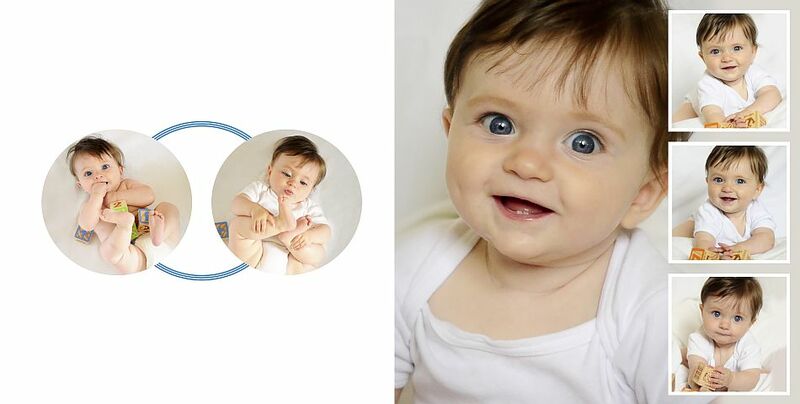 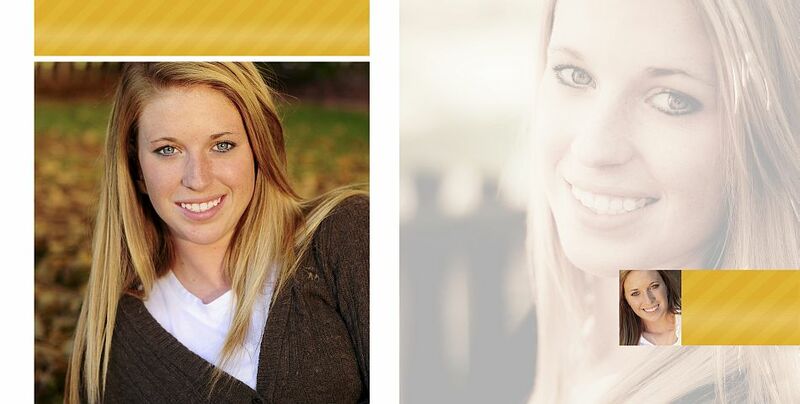 Available in sets of 25 4×6’s or 5×7’s, pictures can be mixed and matched according to your preference. 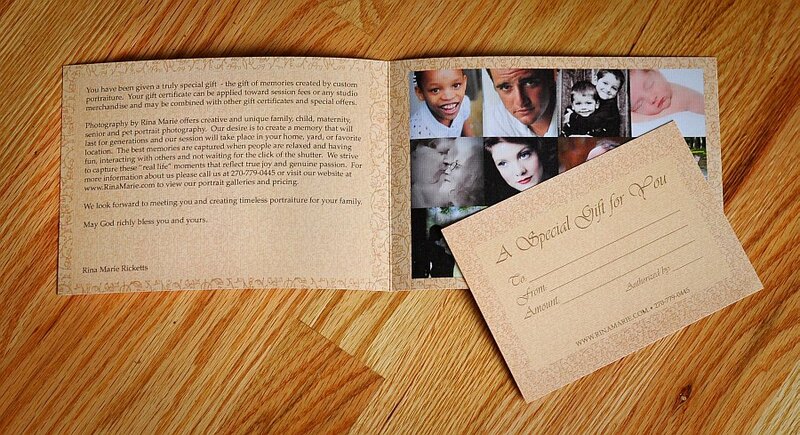 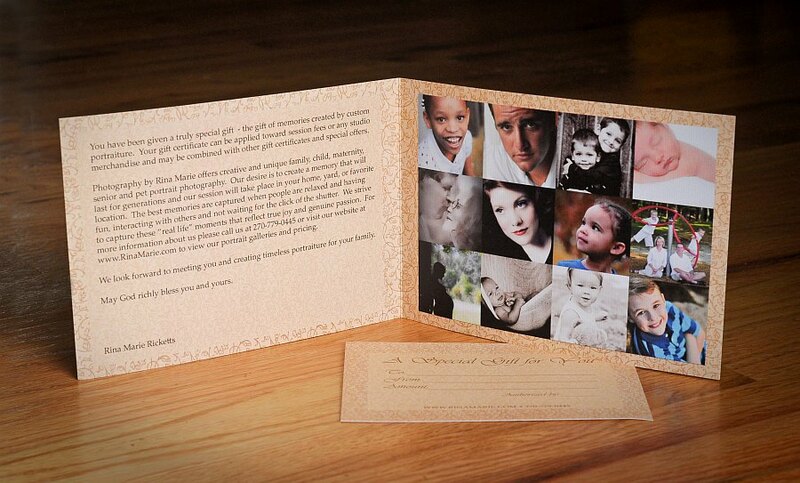 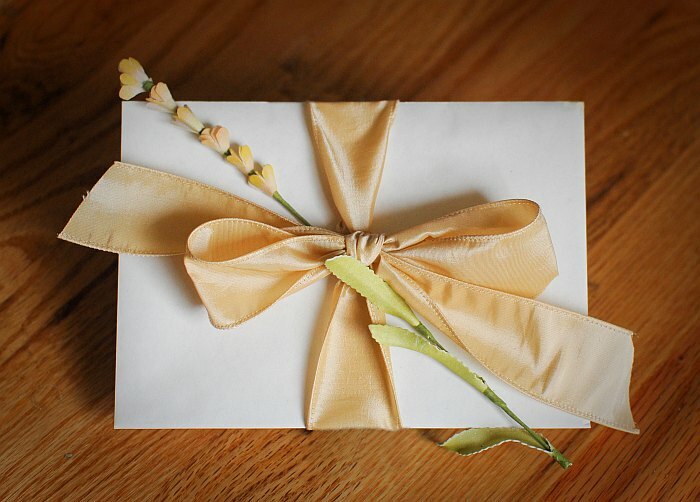 Place your pictures in Christmas cards or in albums to create special gifts for friends and family members. 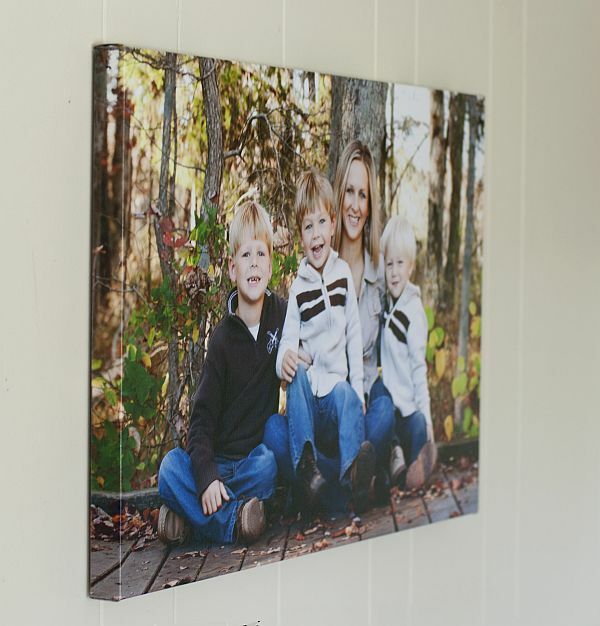 Gallery Wrap Canvases are simply stunning. 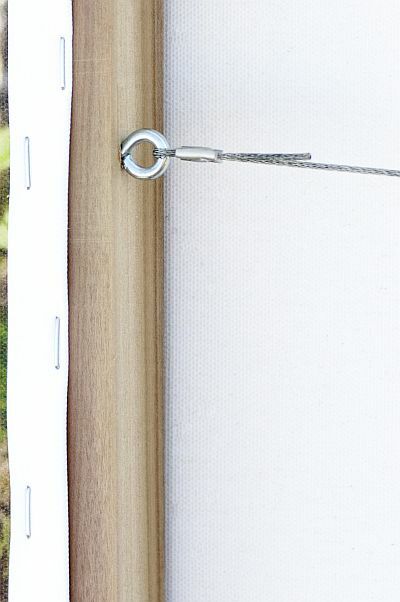 Whereas traditional canvases must be framed and mounted, gallery wraps are printed larger than the final print size and wrapped around a solid wood frame complete with wire hangers. 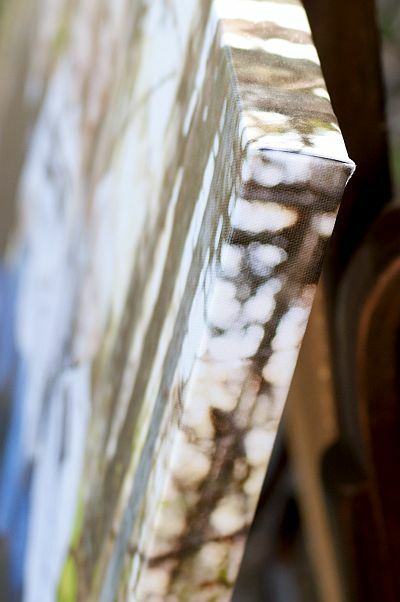 Printed directly to canvas and protected with a semi-gloss laminate to protect from scuffs, scratches and cracking and to provide UV light protection, Gallery Wraps are an absolutely gorgeous way to display your special images. 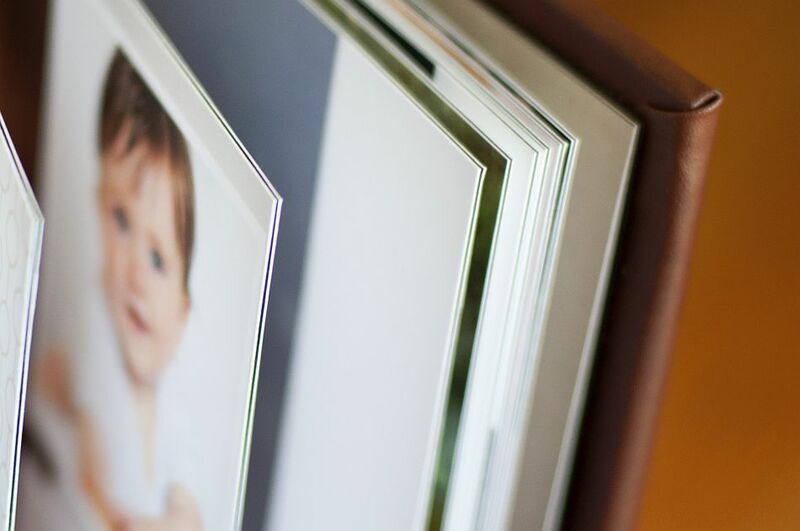 Heirloom Albums are a beautiful way to display images from your session. 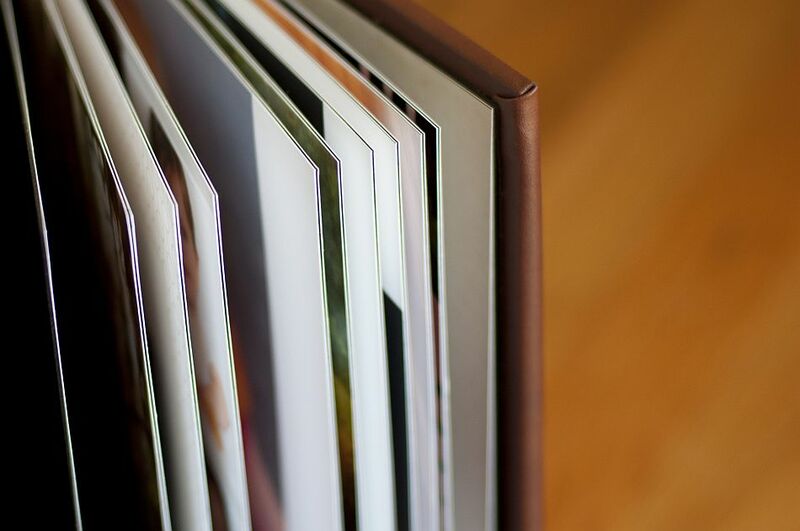 Available with twenty pages printed on beautiful watercolor paper and adhered to heavy black cardstock, these albums allow each spread to lay flat without parts of your pictures being lost in the center of the book. 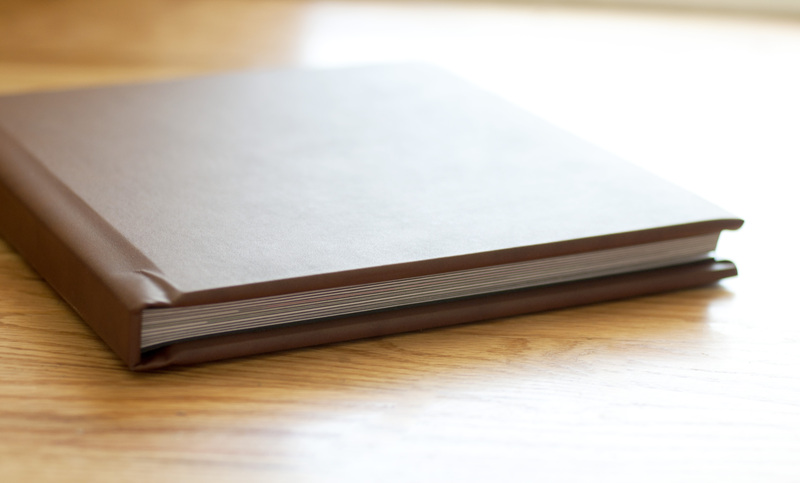 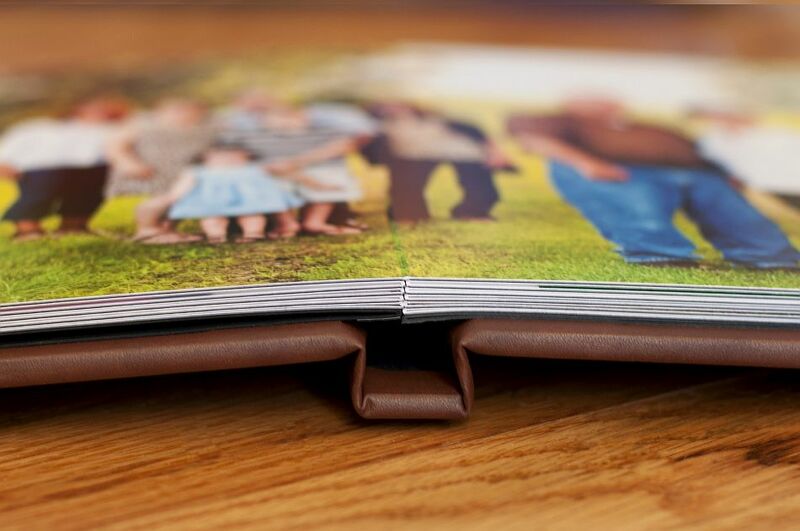 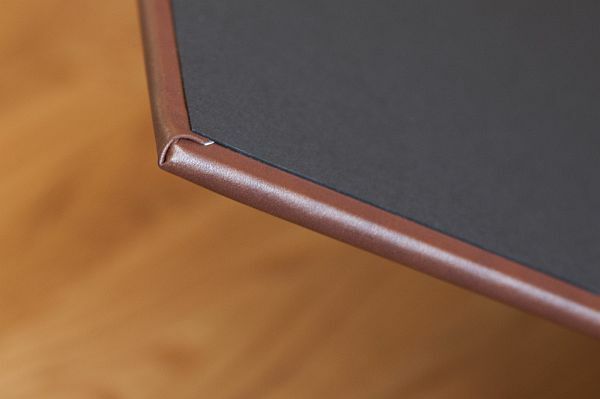 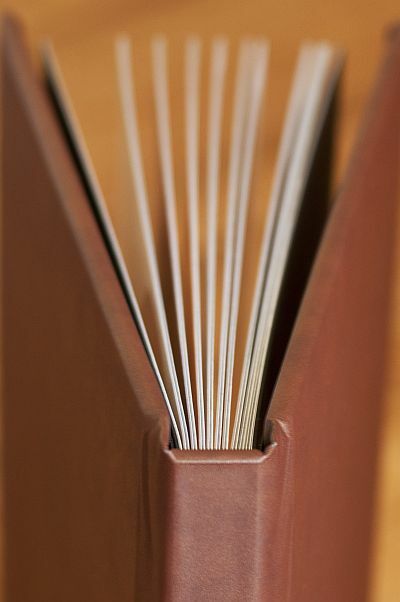 Heirloom Albums are available in several cover materials including fabric, leather and custom photo covers and wrapped in masonite and padded to give them a classy, elegant feel.